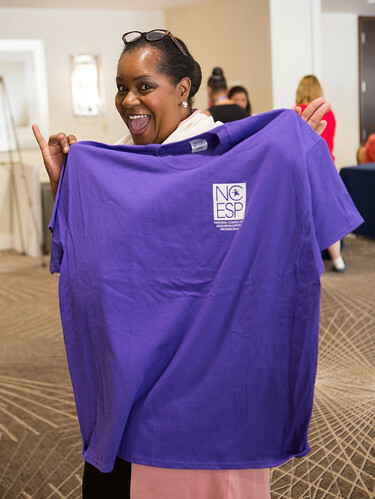 The 2016 NEA ESP Conference, held in Orlando, FL March 11-13, enabled participants to gain skills needed to build strong locals, build strong internal and external relationships, organize members and enhance NEA ESP members ability to positively influence student achievement. The weekend included interactive sessions, award ceremonies, and much more. Below are some conference highlights! Click here to view a complete list of ESP professional development offerings through NEA. "I loved all the informative workshops. This conference made me feel great about being a Union President." Congratulations to Doreen McGuire-Grigg, paraeducator out of Lakeport, California, for being named the 2016 NEA ESP of the Year award winner! Doreen joins her predecessors as the 25th national ESP of the Year award winner. NEA President Lily Eskelsen Garcia gave a rousing speech to more than 1,000 education support professionals (ESPs) and others attending the opening gala at the 2016 NEA ESP Conference March 11-13 in Orlando, FL. NEA Vice President Becky Pringle gave an inspiring speech on the impact of ESPs and equal opportunity in education for all students. NEA Secretary-Treasurer Princess Moss empowered ESPs with her message and encouraged them to make personal commitments in support of public education and the students they serve. Conference? Check out our pictorial!